It was cold, 40-50F and our 06 A8L TPMS warning icons showed up on the dash, we checked the pressure reading and they’re all low due to the air pressure condensed in cold weather. We pumped them up and the warning icons were gone. 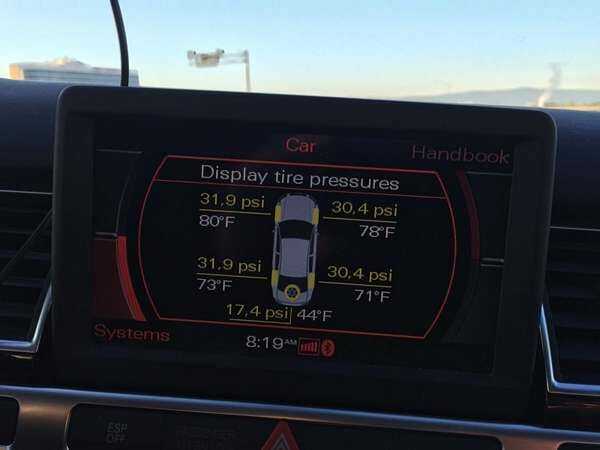 That’s the TPMS that works.